Ask for a recommendation for a good car seat and chances are the name Cybex will crop up. 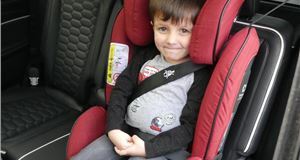 The brand has become well known for its Cybex Sirona swivelling Group 0/+1 seat in its trademark orange and gold colours. The Sirona S is a new version of the popular Sirona and is part of the Cybex Gold range along with the Sirona M2. Just to make things more confusing, there's also a Sirona seat as part of the Platinum range. This is promoted as a bit posher, with different colours and fabrics - the Platinum range is also more expensive. It's i-Size compliant - these are the regulations designed to give extra protection to children. The key differences are better head and neck support along with improved protection from side and frontal collisions. 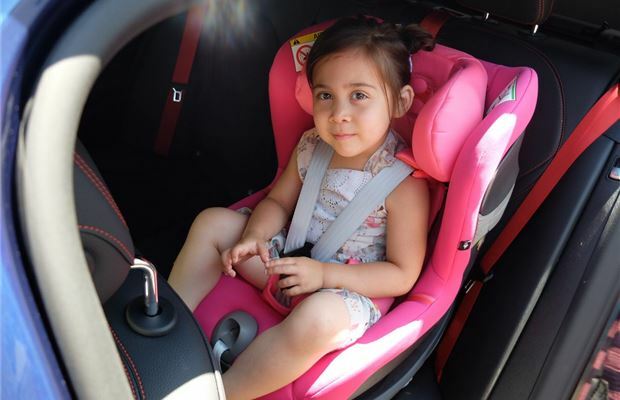 The Sirona S is one of several 360 swivelling car seats, designed to make getting your little (or not so little) one, in an out of the seat much easier. Like the original Sirona, it's not exactly light. The seat and base are all one unit which makes it a hefty thing to move around. Tipping the scales at 15kg it's not the kind of seat you want to be moving between cars regularly, unless you're working on your biceps. That said, it's easy to fit. 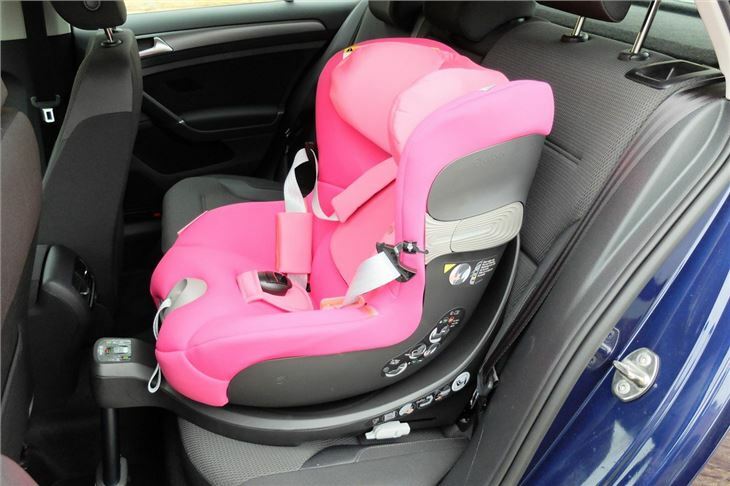 Unlike many other similar car seats, the two Isofix arms move independently of each other. This makes it much easier if you're fitting it into a tight spot, such as the back of a three-door car or coupe. 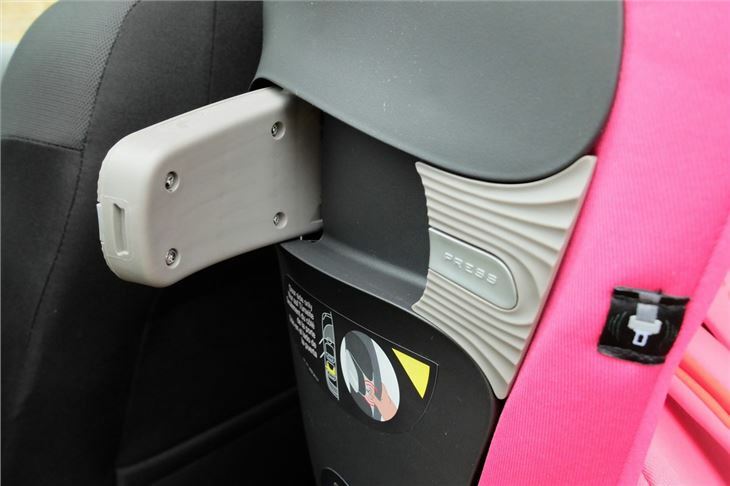 You can essentially get the seat in the right place and then slide each arm out onto the Isofix mounting point. There are the usual green indicators to tell you it's locked in correctly too. In fact it's nigh on impossible to fit the Sirona incorrectly due to all the indicators. The two on the top of the support leg show when the seat is safely locked and leg in place correctly - once you have two green markers you are good to go. If you're looking for a seat for a newborn, there's an infant insert which comes as part of the seat. If you do have a baby, you'll appreciate things like the soft straps and the accompanying covers. They're much nicer against the skin than the material on a Nuna REBL Plus for instance. 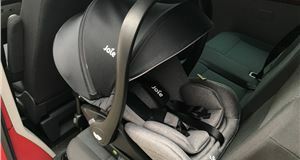 The downside to this is that it doesn't feel as hardwearing, although you can at least remove the cover and wash it, although unlike the Nuna, a spare isn't included. Swivelling the Sirona S is pretty easy. There's just one handle under the front of the seat which is also the recline. What do you have to remember is that it needs to be in its most upright position to rotate. Most of the competition can be rotated whatever the recline but with the Sirona you have to push the seat back as you hold down the handle to get it to spin. The reclining action is fairly smooth while it rotates easily with minimal effort needed. 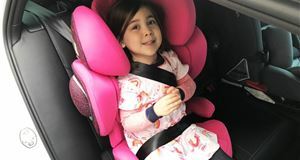 When it comes to rear facing, the advice from experts is to keep children facing backwards until they are four years old. Why? Well it's been proven to be five times safer for younger children in the event of an accident due to the way their head moves in an impact. The issue for us here is space. Eden struggles to get her legs in facing rearward and then spends the journey whinging. 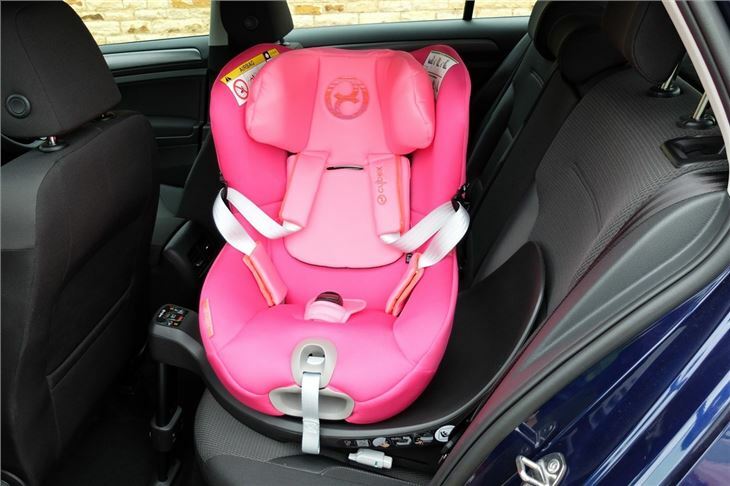 UK law says children need to stay rear facing until they are 15 months old, when you can then turn the seat around to use it forward facing. That's how we've been testing the Sirona S here. 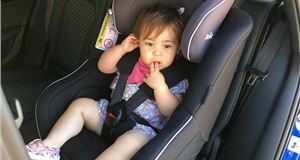 The fact the Sirona S swivels makes it much easier to get a reluctant toddler into their seat - and most crucially, strap them in safely. The little hooks for keeping the seatbelts out of the way help and another nice touch is the extra covers on the lower sections of the seatbelt. 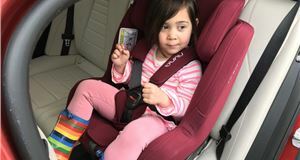 In the summer it means the seatbelts aren't tight and uncomfortable on little legs. The seatbelt adjuster is a little stiff, at times it feels like the seatbelts are tightly done up only for a quick check to reveal lots of slack - so you have to pull on the cord surprisingly hard. 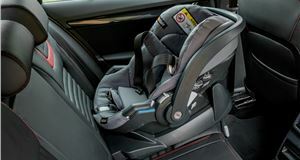 The Sirona S also comes with plenty of advanced-sounding features including Driving Direction Control (DDC), designed to ensure the forward-facing position is not used before the child is at least 16 months old, plus ER-Tech Energy Reduction Technology which reduces the forces on the neck of a child during a front crash by approximately 20 per cent according to Cybex. 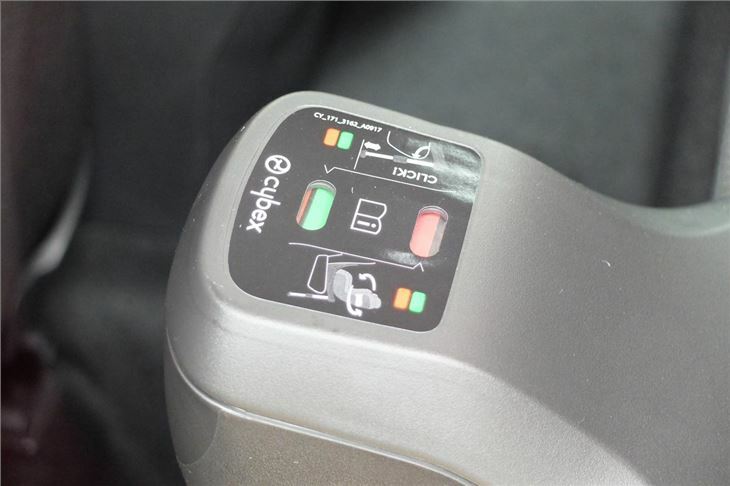 It also has what Cybex calls the integrated linear side-impact protection (L.S.P System). This is a little arm that flips out of the side of the seat (you only need to pop out the one nearest the door). It may not seem much, but it actually reduces the force of a side impact by 25 per cent, thanks to the way it transfers the force of an impact into the energy absorbing shell. 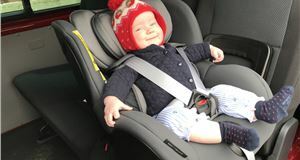 One big issue with car seats is the recline - or lack of - which means a child's head can flop forward when they're asleep. Not only is this an uncomfortable position but it's very dangerous in the event of an accident. The Sirona S only has three recline positions when facing forward, although there five when rear facing. 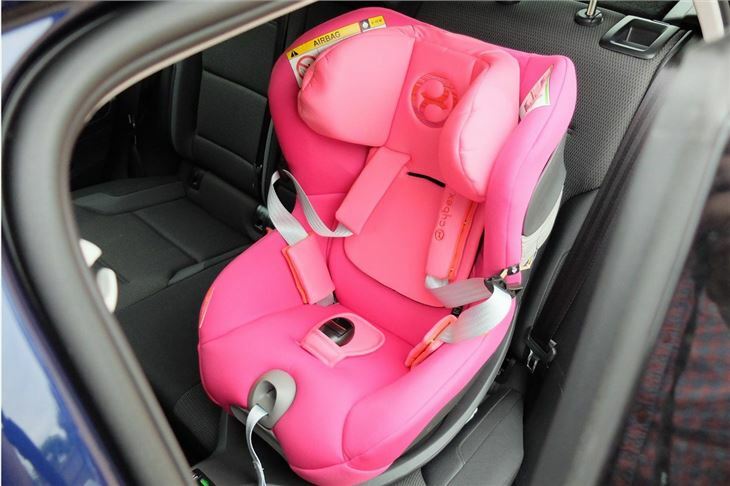 However, it counters this with a well designed height-adjustable headrest, which can be moved so that your little one's head sits further back in the seat. We found this a surprisingly effective solution to the head-slumped-forward problem with Eden always falling asleep with her head back against the headrest and staying there. 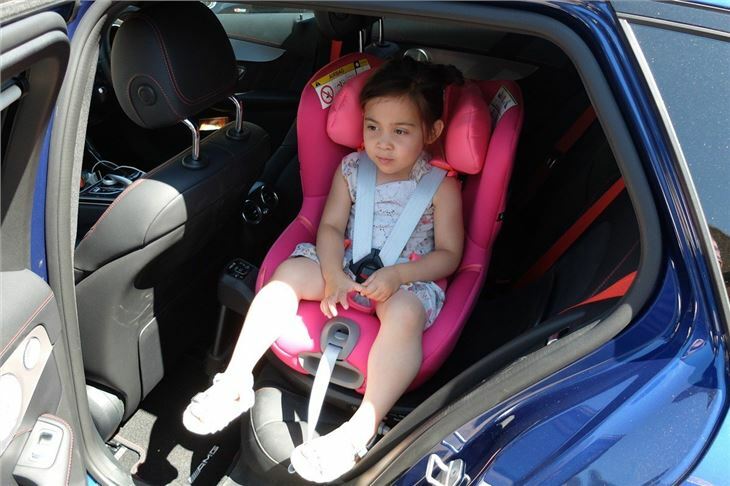 In fact, among all the car seats we've tested, this is the one she falls asleep the quickest in - and stays asleep. The quality of the Cybex Sirona S shines through with impeccable build quality and a lovely finish to the material with strong stitching. It certainly feels like a high-quality seat and one that's a match for any of the competition. 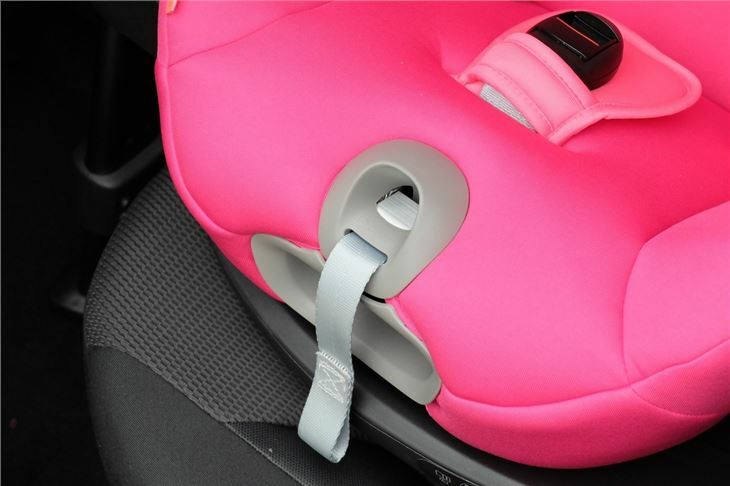 The independent Isofix arms make it easier to fit than many too while we like the softness of the material and the double seatbelt covers. If you've got a young baby, you'll certainly appreciate this. We found the Sirona S had an annoying rattle when fitted but this actually turned to be the L.S.P arm that pops out of the side, not the seat itself. Our only real criticism is that the swivel action could be smoother and simpler, not helped by the fact you have to move it into its most upright position first. But that's a very small issue. It doesn't recline all that much either, but the clever headrest more than makes up for that and genuinely works. With a price tag that's less than the Nuna REBL and Maxi-Cosi AxissFix, the Sirona S is a good investment and one that's easy to recommend. 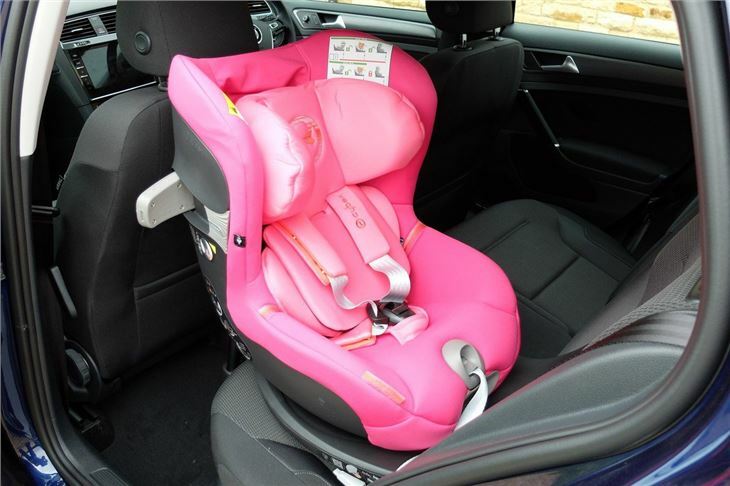 The bright pink may be a bit much for some - even for the most avid princess-obsessed toddler - but fortunately there other several other colours so you can match it to your car's interior if you fancy.